It is fair to say that many people like to devote time to making sure that their homes are as aesthetically pleasing as possible. Furthermore, they can often be driven to do this for a myriad of good reasons. However, if you are one of these people, have you remembered to pay just as much attention to sprucing up the appearance of your garden? The garden of a house can often be overlooked for a makeover, but there are many good reasons why it shouldn't be. Here are just five of them! By nature of being outside houses rather than inside them, gardens are much more visible to the outside world than any rooms of any houses. 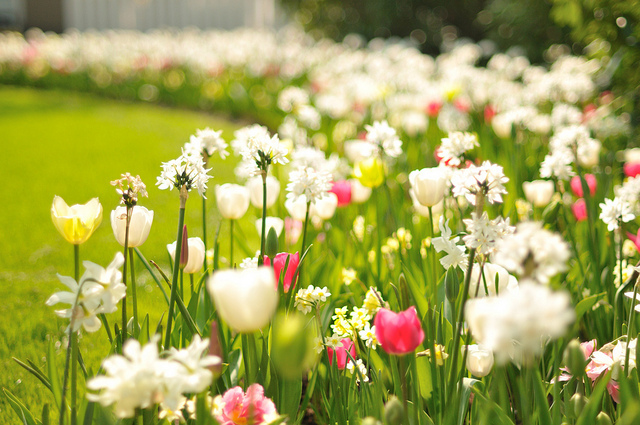 Hence, owners of gardens have a special incentive to devote time to making sure that their gardens look good. In the same way that you don't want to give visitors to your house unduly negative impressions through neglecting your house's appearance, you don't want casual passers-by to draw disparaging conclusions about you if the appearance of your garden is unpleasant. You might not realise until you start making over your garden just how many different possibilities there are when making over a garden. Such possibilities could include, for example, the planting of attractive and unique plants or clever use of hard wearing furniture such as rattan furniture. Gardening can, perhaps surprisingly, be a good source of exercise. Only gardeners who haul wheelbarrows of dirt long distances daily are likely to be greatly enhancing their cardiovascular fitness by gardening; however, digging, planting, weeding, and other repetitive tasks that require strength or stretching are great low-impact exercises, especially for people who struggle with more vigorous exercise. Such people could include those who are older, have disabilities or suffer from chronic pain. Furthermore, people who enjoy gardening might be much more likely to stick to it than to other sources of exercise. It can be mentally healthy, too! Studies have suggested that gardening can also help to relieve stress and depression. For example, one recent study in the Netherlands suggested that half an hour of gardening could improve mood and lower levels of the stress hormone cortisol than half an hour spent reading. Meanwhile, a study conducted in Norway which arranged for people who had been diagnosed with depression, persistent low mood, or "bipolar II disorder" to spend six hours a week growing flowers and vegetables saw half of the participants experiencing a measurable improvement in their depression symptoms after three months. Once you have completely made over your garden, it is much more likely than before the makeover that you will want to spend time relaxing in it. Hence, making your garden look good could help you to enjoy greater relaxation in the long term.